Want to explore even more? 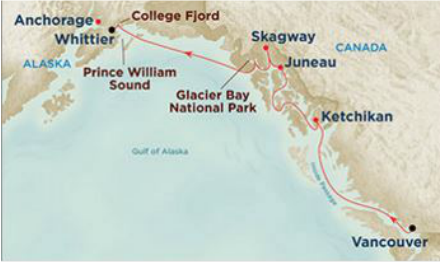 Consider adding several days in Alaska to visit Denali National Park. First voyage of the season is 09 May 2018, and the last voyage is 01 September 2018, with multiple departures each week. Let us help you find the one that is right for you. Taxes and fees are an additional $205 per person, subject to change. ​Fares can vary widely throughout the season. Taxes and fees are an additional $225 per person, subject to change. Taxes and fees are an additional $190 per person, subject to change.